On Sunday I took part in my 4th consecutive London to Brighton Bike Ride. 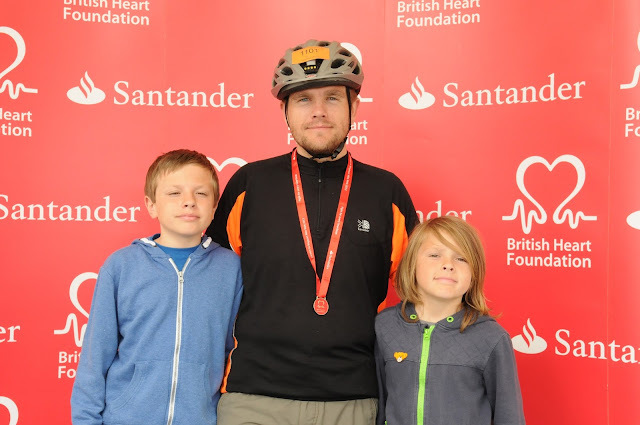 There were 5 of us in my team and we were part of 28,500 cyclists that took part in the British Heart Foundation’s (BHF) London to Brighton Bike Ride on Sunday 16th June. 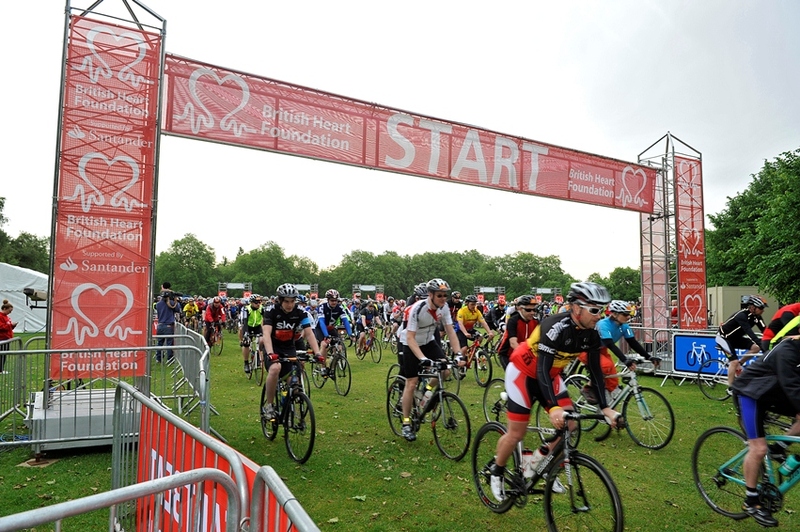 The ride saw thousands of cyclists using their pedal power, cycling the 54 mile route to raise funds to fight coronary heart disease, the UK’s single biggest killer. The ride is the first of many charity events I'm doing this year to raise vital funds for the BHF. If you like to sponsor me, however small, visit www.justgiving.com/toby2013. The Bike Ride is part of the BHF’s London to Brighton Bike Ride Series. 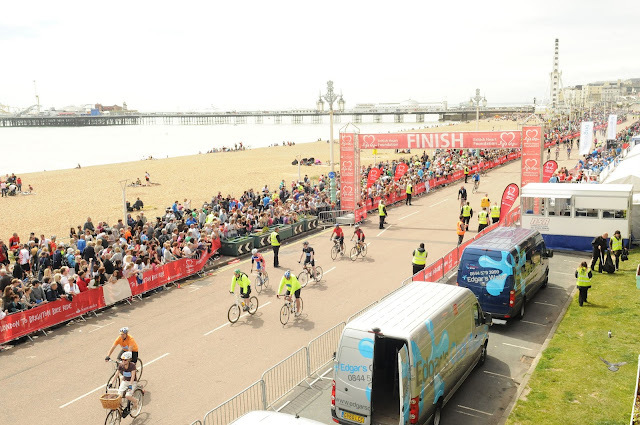 The series includes the London to Brighton Night Ride and the London to Brighton Off-Road Bike Ride (I'm doing both). Places are still available for the Night Ride version of this celebrated route taking place on Saturday 13th July 2013. To find out more, visit bhf.org.uk/l2bnight. The ride coincides with Father's Day and my children were there to cheer me on as I crossed the finish line. It's always a special day and I'm never bothered that I can't always ride as fast as I know I could if the route was less congested. The small period of rain didn't dampen the spirits and we were dry by the time we arrived in Brighton. I can't wait for the next ride!